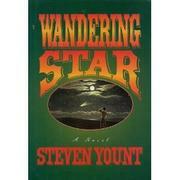  Sure to amuse even the most urbane reader with its similarities to Mark Twain and Erskine Caldwell, this first novel traces the ascent and humiliation of a small-town Texas preacher who predicts that the world will end in 1910 when Earth passes through the tail of Halley's Comet. Twelve-year-old narrator Tom Greer is more interested in playing in the streets of High Plains than in either homework or the catechism. When Sam Adams arrives with beautiful wife Rebekah, Tom becomes their faithful companion. He helps Sam publish Plain Talk, a newspaper that prints the truth without concern for the scandal it may cause. Then evangelist Brother Nicholas enters the picture, preaching purity through abstinence and prophesying the Day of Judgment. He quickly converts most of the town, including Tom's mother and Sam's wife. As Sam and Tom continue to expose local injustices, people's feelings mount against the paper and its editor. Tom's mother takes measures to end his friendship with Sam; Rebekah leaves her husband to live with the Greers. The long- anticipated apocalypse begins with a fireworks display and ends with a thunderstorm. Nicholas's grand evocations of ``the tears in God's eye'' satisfy the confused populace until resourceful Sam threatens to reveal that the evangelist fled Kentucky and Arkansas to escape arson charges. Nicholas disappears, Sam and Rebekah reunite, and Tom makes peace with his mother. This rollicking tale is weakest when Yount writes in a self- consciously folksy tone or gives too much attention to historical detail--which isn't terribly often. His ironic and skillfully constructed story will take readers through the tail of its own quaint comet.